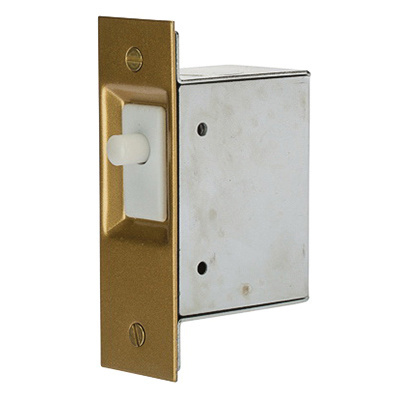 NSI Tork® Alert™ Electric door switch has rust-resistant steel case with 4 knockouts and antique brass plate construction for long-life durability. It operates at a voltage rating of 125/250-Volts AC at 50/60-Hz and current rating of 3.6-Amps. It is suitable for turning lights/signals ON or OFF when doors are opened or closed.